The lobby was lighted through a mission art panel skylight, decorated with heavy brass fixtures and leather furniture, and its floor was finished in tile and mahogany. The staircase leading from the lobby was made of solid marble and steel. The lobby bar gleamed with plate glass and mahogany fixtures. On the Mezzanine level, an orchestra entertained guests. 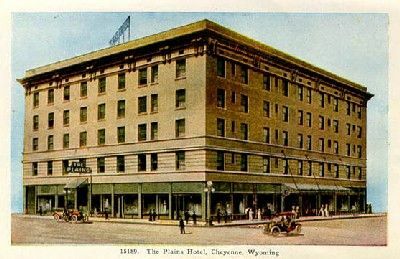 The hotel soon attracted numerous cattle barons, oil tycoons, and the many travelers making their way to Yellowstone and the Grand Tetons. 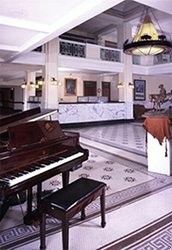 Guests raved about the amenities and service provided at the hotel. I stayed at The Plains hotel. Was a great experience. I was told about a book about this hotel but I do not have the title of the book. Can someone help me with that and where I could get a copy.